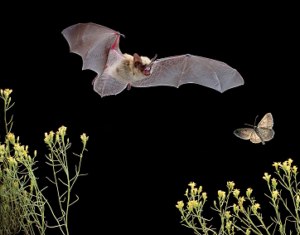 In search of bats -- come with us on Friday, Feb. 9 on an evening walk to spot bats! This is a great follow-up for those who attended our recent bat talk or to catch up on what you might have missed. FREE for everyone. You'll be led by bat expert Shari Blissett-Clark, president of the Florida Bat Conservancy. At 6 p.m., meet at Lower Wekiva River Preserve State Park, 8300 W. SR 46 in Sanford 32771. If you need more info, FriendsWekivaRiver@gmail.com or call 407-415-0705.